What!? Making a woven pattern out of a knit?? How daring! Ok, not really. 😉 But with the fabric I used it was kind of a gamble to see if this would work with the new Anna dress. The Goal: Trying to stashbust meets wanting a quick and easy make. I had a bunch of knits in my stash that I had yet to use and most of the patterns I’ve been wanting to sew use knits. So I though, what’s keeping me from making a woven dress in a knit…? The Pattern: By Hand London’s newest dress pattern, Anna. I made the shorter boat neck version. I may have attempted the maxi version had I had more fabric. A couple tips – be sure to mark/notch/label your skirt pieces as you sew because they are easy to mix up. Also, if you cut the pattern tissue to sew the shorter length skirt, label each of the lower sections of the pieces so you know which one is which should you ever want to go back and make the maxi. I cut a UK size 10 which is the size I would have chosen for a woven. Sometimes people pick a size smaller when using a knit for a woven pattern but I didn’t think it would matter much with this design. The Fabric: A really light weight sweater knit, black with white bits scatter in it, not really slubs, more like random pieces of yarn that weren’t dyed. I got it locally at Stitched Fabric Boutique. The Changes: I’d seen a couple knit Annas out there on the interwebs so I knew it wasn’t crazy to try it. However my knit is not stable at all. It’s loose and soft and drapey and I needed to be careful with it. First I stabilized my shoulder seams with stay tape. You can use clear elastic as well. On the waist band I added elastic. I re-did the elastic, like, three times because the elastic I had wasn’t very good quality, it would stretch but it didn’t tighten back up no matter how tight I tried to make the waist. Eventually I switched to swimwear elastic of all things because it was the only other elastic I had on hand but that stuff is strong! What makes the elastic work for this waist is making it tight enough so that when it stretches to fit you the fabric lays nice and flat, no gathering! If you make the elastic too loose the weight of the skirt will drag the bodice and make it sag. The only other thing I did was fold the neckline back twice to make a narrow 1/2″ hem, straight stitch, rather than a facing. I had sewn the entire dress with a zig zag because I didn’t want to use my serger and cut the seams smaller. This worked great except on my sleeve hems. I folded them back twice and zig zagged but I think the thicker layers forced my sewing machine to stretch the fabric out as it moved under the presser foot resulting in wavy seams. Ugh! To fix this I unpicked them (black thread on black knit, so hard!) and cut band cuffs out of my fabric remnants. This is a great solution because if you cut the cuffs smaller than your sleeve opening the cuffs will tighten the opening which counteracts any stretching that my machine causes resulting in nice flat sleeves. I didn’t bother top stitching my sleeve seam allowances. They lay flat enough for me. Lastly I decided not to hem it, not yet anyway. I want to wear it and decide if I want it shorter. I think in my heart I wanted the maxi. This fabric is so soft and flowy, it would have looked amazing as a maxi but alas, not enough fabric. The Results: This particular dress has a unique look for me. The fabric is a little too sheer to wear alone so I’m wearing a slip under it. And I actually don’t mind wearing a slip. I have a couple basic ones and they work great for when I don’t want to line a dress (which, let’s face it, I’m lazy, I never want to line my dresses, lol). The sleeve openings are a little long on the side so a slip helps keep people from seeing the side of my bra. I think I’ve read other people comment on this issue. 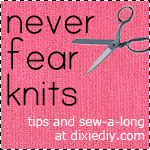 Both the sleeve openings and extra wide neckline are easy peasy fixes if you want to do it. In the end I was surprised how quick this dress came together even with my minor mishaps – about and 2hrs to sew (which I know because that’s how long it took to finish my audio book). With a woven fabric and no fitting it would take even less.